As the cyber environment continues to evolve, organizations must strengthen security safeguards to truly protect sensitive information. 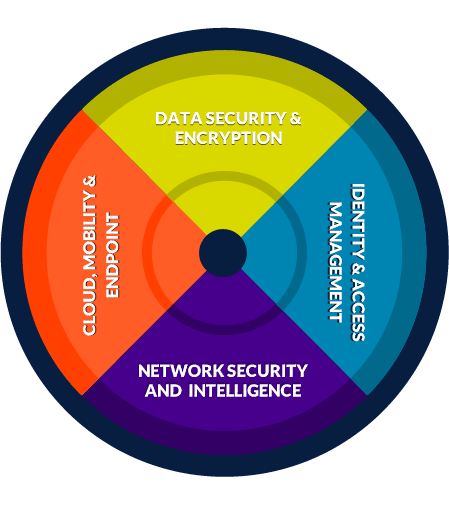 Sycomp’s long-term global advantage has been to simplify the complexities of security and provide clients with a comprehensive suite of IT solutions and services to the international marketplace. - Do our current applications have security vulnerabilities? - Where are the vulnerabilities? - What risks are we faced with? 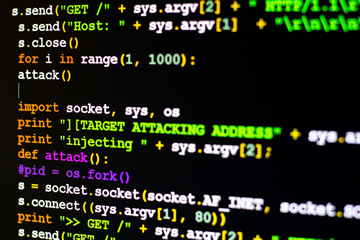 Reliable application security and development practices help minimize code vulnerabilities and prevent gaps in security policy, which a hacker can use to steal, distort or delete sensitive data. Through vast experience with these exposures, Sycomp offers testing solutions across an organization’s entire portfolio to reduce security costs and pinpoint security vulnerabilities before an application is breached. Most viruses infecting systems arrive by email, the breeding ground for malware, Email security is a high priority in every business, and supportive user behavior that avoids phishing scams and social media platform risks is critical to keeping email channels secure. Sycomp develops robust solutions, including hosted email and web security, to ensure organizations adhere to sound security practices and users follow safe security guidelines. 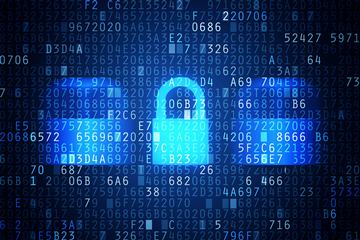 Encryption is critical to secure sensitive data. Even if a hacker gains access to a system, an encrypted file can only be read with access to an encrypted key. 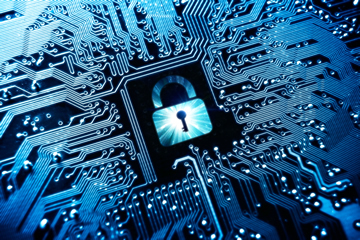 Implementing an encryption solution requires specific knowledge and experience. Sycomp evaluates encryption needs, then simplifies and strengthens security strategies to protect information, as well as comply with industry and regulatory requirements. In today’s cyber environment, organizations are tasked with enforcing user access across multiple platforms. Identity and Access Management (IAM) ensures appropriate access privileges are granted according to each organization’s security policy, and that each individual is properly authenticated, authorized, and audited. 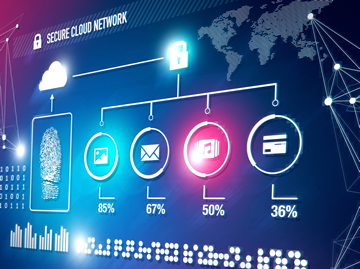 Sycomp works within an organization’s existing system environment to ensure simplified, secure access by users, partners and contractors for cloud and on-premise networks. 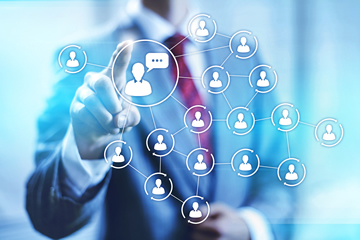 Identity and Access Management (IAM) recognizes individuals within a system and manages associated user rights. Privileged accounts allow access to the center of the enterprise and IT compliance requirements emphasize privileged password management. When privileged accounts are being used, this may include tracking users and usage. 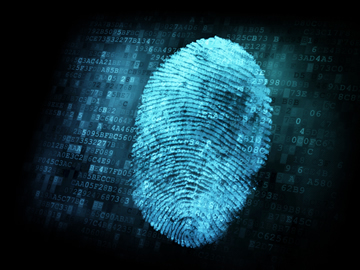 A number of identity management solutions are available for both wired and wireless users. Sycomp streamlines these solutions and guides organizations in the choice of a privileged identity management system to strengthen your approach to IAM. Federated Access Management offers abbreviated, single sign-on access privileges to individual users while maintaining high security levels. By utilizing an automated sign-on system with fewer login hurdles, organizations recognize lower costs and users are freed from maintaining multiple IDs and passwords. Sycomp establishes continuity in automating enterprise access privilege management so users may share security-rich information with confidence and ease. As businesses grow and adopt new technologies, the need for centralized access management is also growing greater than ever. Disparate tools result in a loss of productivity, a lack of visibility into end-user behavior and increased complexity in facilitating compliance.-- IBM white paper, "Take Back Control of Access Management"
Multi-Factor Authentication (MFA) raises the integrity of mission-critical systems by requiring multiple levels of and several methods of authentication. From independent credentials to verifying user identities, MFA significantly reduces the incidence of online fraud and identity theft. 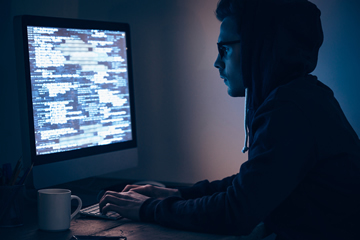 Sycomp implements straightforward, sophisticated MFA strategies for clients around the world to create layered defenses against system compromise. Like the death of a celebrity from a drug overdose, publicized data loss incidents remind us that we should probably do something about taking better care of our data. But we usually don't, because we quickly remind ourselves that backups are boring as h***, and that it's shark week on Discovery. Progressive, ongoing threats defeat security platforms by confusing or evading system defenses. Installing a Data Loss Prevention (DLP) system protects against mistakes or intentional use that lead to data breaches. A DLP also monitors internal data events and blunts external attacks on internal information infrastructures. More and more, organizations deploy these systems with multiple analytic engines to broaden detection and reveal evasive threats. To disrupt advanced threats in real time, Sycomp navigates the complexities of Advanced Threat Detection and employs a comprehensive strategy to address data flow and management concerns. Cyber attacks continue to be a large problem for companies and organizations. They often involve multiple compromised systems attacking a single target system, usually multiple web servers. In a cloud environment, a DDoS attack can reduce the performance of cloud services by shutting down servers, disrupting operations and websites, and leading to unauthorized access and data theft. Traditional firewalls and intrusion-prevention systems are no longer enough to thwart these attacks. By collaborating with security partners, Sycomp notifies organizations when an attack occurs, directs malicious traffic away from the infrastructure, blocks and removes it before it reaches a network, and keeps business—as well as revenue streams—flowing. In today’s complex IT landscape enterprises require advanced analytics and quick remediation. Security Intelligence takes organizations beyond the normal limits of IT security by monitoring, analyzing and prioritizing risks, and providing real-time recommendations. Organizations that adopt security intelligence do a better job meeting today’s security challenges. The advent of cloud platforms and fast growth of mobile device usage requires an equal expansion of enterprise security. Today, endpoint security involves device data encryption technologies along with network integration of employees’ personal devices through Virtual Private Networks. Mobile security policies now include mobile device guidelines to enable secure access to clouds and Software as a Service (SaaS). Sycomp’s extensive experience and wide-ranging solutions allow organizations to easily manage all remote devices, apps, and content while providing absolute security, including protection from malware. Cyber attacks have become increasingly complex and endpoint management has evolved to affect how organizations do business by improving productivity and enhancing customer experiences. Mobile security is a vital component of any security strategy and device management and policies such as BYOD (Bring Your Own Device) are critical. Malicious attacks are stealthy – more than 70% of security breaches begin at an endpoint. With thousands of mobile devices accessing today’s enterprises, vulnerabilities can hide anywhere. Cloud security continues to progress. 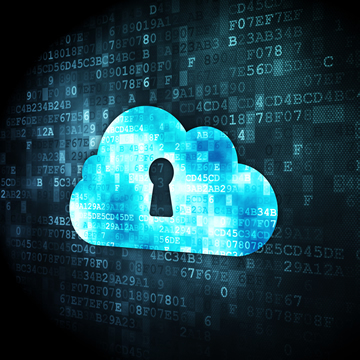 Choosing a cloud provider requires evaluation of its security policies, regulatory compliance, geolocation of data and credentials. 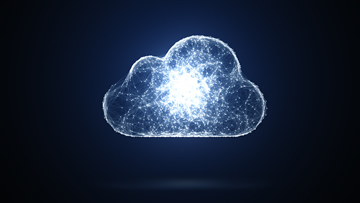 A cloud access security broker (CASB) sits between an organization and the cloud provider and enables enforcement of policy-driven decisions by monitoring user activity and utilizing encryption tools and DLP. Sycomp partners with world-class CASBs to secure cloud data and ensure apps are protected and under management’s control. At least four million ransom-ware events happen each year. 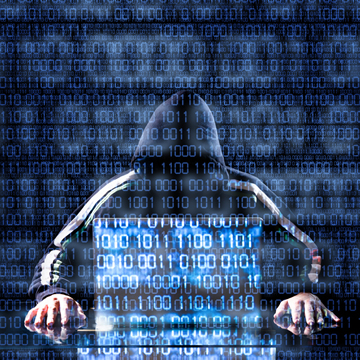 Hackers encrypt data and demand payment to decrypt it. Enterprises have become more adept at rejecting conventional malware, but hackers also look at firmware weaknesses. Organizations turn to behavioral analytics and artificial intelligence to detect irregular user activity. Data loss prevention (DLP) systems enforce data security policies, discover data storage across endpoints and servers, identify true data owners, and alert to unusual activity. Sycomp offers industry-leading DLP and other solutions to address cyber attacks, zero-day exploits and malware attacks, allowing organizations to successfully manage endpoint security and keep business intact and profitable. Questions? Sycomp has the answers! Contact Sycomp for all global infrastructure and security needs. Founded in 1994, Sycomp is a global provider of innovative data center services and security solutions that deliver superior results. Our team of consultants and engineers consistently exceed our client’s expectations by effectively solving their business challenges.